This morning, I received two separate reports of a serious crash involving a bike rider and a tractor-trailer on Santa Monica Blvd in West Los Angeles. David Drexler emailed to say he had driven past a crash involving a tractor-trailer at the southbound onramp to the 405 freeway on Santa Monica Blvd. I could not get on the highway there at approx. 10 am, ramp was closed and highway patrol looked like it set up an investigation scene. There was a very crumbled bicycle in the middle lane of the on ramp sitting at the back tires of the truck that was sitting in the lane as well. The victim must have been removed earlier. That was followed by this tweet from CG. Then late this afternoon, Caltrans District 7 confirmed the death on Twitter. As anyone who has tried to ride that section of Santa Monica Blvd knows, it is a very dangerous, poorly designed and overly crowded intersection, with a high risk of a right hook or left cross from drivers attempting to get onto the 405. Not to mention the usual jockeying for position from too-often distracted drivers trying to snake through the congestion. Most riders don’t try it second time, opting for the safety of Ohio Blvd a few blocks to the north; those who do usually stick to the sidewalks, which are often blocked by homeless people. And even that requires coming off the sidewalk to ride past the onramp. For whatever reason, this person sadly paid the price for that bad design. 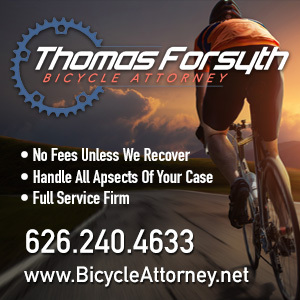 This is at least the 44th bicycling fatality in Southern California this year, and the 22nd that I’m aware of in Los Angeles County. Update: A GoFundMe page has identified the victim as Frank Guzman; it’s raised over $500 of the $5,000 goal in the first few hours. A family member describes him like this. Frank was a kind, thoughtful soul. Always smiling and positive. He was biking because he enjoyed the fresh air and was doing it to lose weight and maintain an active lifestyle. We miss him dearly. We love you, Frank! Frank was 31, lived in Glendale and is survived by his parents, two siblings, his girlfriend and niece who he adored. He worked full time and was also in school trying to further his education. He was a foodie. Loved to try new things & always seeking adventure. My deepest sympathy and prayers for Frank Guzman and all his loved ones. Thanks to David Drexler and CG for the heads-up. 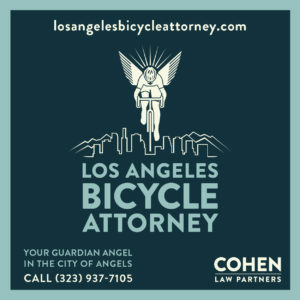 Today marks the first day of the third annual BikinginLA Holiday Fund Drive. 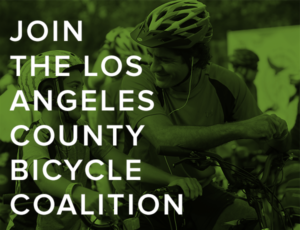 Your support helps keep SoCal’s best source for bike news and advocacy coming your way every day. Or nearly every day, the way this year has gone. As usual, you can donate with just a few clicks using PayPal. Or now you can also donate in just seconds using the Zelle app — which is probably already in the banking app on your phone — by sending your contribution to ted @ bikinginla dot com;* you can download the app for iOS or Android if you don’t already have it. Any amount is truly and deeply appreciated. *Remove the spaces and format as a standard email address. Officials at a Mission Hills hospital are attempting to identify a bike rider who was injured in a crash in Van Nuys last Saturday. The victim is described as a Latino man who appears to be in his early 30s, 5 feet, 9 inches tall, and 173 pounds. He has brown eyes and short black hair, a short mustache and beard, with Maritza tattooed on his ring finger and Jade on his right forearm. Anyone with information is urged to call Providence Holy Cross Medical Center at 818/365-8051 and ask for the nurse supervisors’ office. Let this be yet another reminder to always have some form of ID with you when you ride. After residents made questionable claims about traffic chaos and emergency vehicles unable to get through on Foothill Blvd during the recent La Tuna fire, the city agreed to make changes. But unlike Playa del Rey, the bike lanes will remain on the road. KCET profiles a day in the life of carfree, single-speed bike-riding chef Will Marquardt, Chef de Cuisine at Petit Trois, regarded as one of America’s best restaurants. Although someone might want to explain the difference between Hollywood and West Hollywood to them. LA Weekly looks at a bike-riding guerrilla street artist who turns discarded furniture into sad clown faces. Santa Clarita sheriff’s deputies arrested two bike riders on drug and DUI charges. Orange County sheriff’s deputies are looking for the owners of the 1,000 bikes they recovered after clearing out a homeless camp, even though most have been stripped and are considered beyond repair. A San Luis Obispo columnist says the city is engaged in social engineering in an attempt to force people to ride bicycles. Never mind that every decision made by government at any level is a form of social engineering. Including past policies that have lead us to this auto-centric dystopia. Next City looks at San Francisco’s Vision Zero rapid response teams. As opposed to Los Angeles, where they usually get around to doing something about dangerous streets eventually. Or not. Sad news from Stockton, where a bike rider was killed in a hit-and-run as he was riding home with food to make his family’s Thanksgiving meal. Maybe driverless cars won’t run over us after all; Apple claims to have made a major breakthrough in detecting bike riders and pedestrians on the road. Wired says if you want to see the future of cities, you need to keep an eye on the curb. 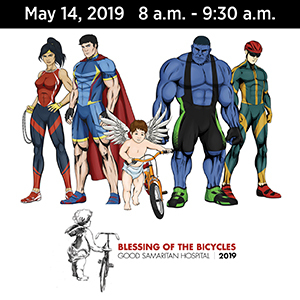 A young man connects with his Cherokee heritage through the annual Remember the Removal Memorial Bike Ride. Austin TX has doubled the rate it’s building bikeways by employing three key steps, including finishing designs onsite. A New Hampshire woman was shot by a hunter aiming for deer as she rode her bike near a park; naturally, no charges were filed. A Queens deli owner says a new bike lane is murdering his business. Change is inevitable, for any business. You can waste your time trying to fight it, or embrace it and flourish. It takes a major scumbag to steal a five-year old Florida girl’s bicycle and scooter right in front of her. Ontario cyclists vow to return after authorities bulldoze an illegal mountain bike course. A new Canadian study says bike commuting could be damaging your hearing. Caught on video: A British bike rider captures the hit-and-run collision that knocked him off his bike on a roundabout. The UK doesn’t require license plates for bicycles, so a school decided to do it themselves. A Belfast newspaper says it’s time to invest in moving people through the city, rather than cars. Which is a lesson Los Angeles desperately needs to learn, but clearly hasn’t yet. A Limerick, Ireland bike rider was busted for riding salmon with no hands; he ended up paying the equivalent of $142 in fines. Evidently, the US isn’t the only country that doesn’t adequately instruct cops in bike law, as an Irish police chief gets the law wrong on riding abreast. BMW envisions a world where ebike riders get their own sun-protected double-decker roads. Just not here in the US. Italy’s Pinarello apologizes for the bike industry’s latest tone deaf ad. A sports website looks at how bicycling has worked in conjunction with language to shape Italian culture. A South African letter writer says greater tolerance would stop the cycle of cyclist abuse. Caught on video too: An Aussie truck driver appears to be trying to see just how close he can pass a bike rider without actually hitting him. In a bizarre crash, a Chinese boy had to be rescued after the brake handle on his bike somehow ended up jammed up his nose. Starting in January, pro cyclists will be able to use marijuana products, as long as they don’t contain any THC. Which is odd, since no one would say Snoop Dog or Willie Nelson would have an unfair advantage. Except maybe in an eating contest. The new head of pro cycling’s governing body says maybe it’s time for a salary cap on cycling teams to improve competitiveness. Nice story from the LA Times about a 16-year old Columbian rider who returned to cycling after his family struggled to buy him the bike he needed to compete. Seriously, anyone can do cyclocross on a cross bike. Go ahead and have that extra cup of coffee after your next ride. And nothing like teaching your kids to steal bikes at an early age. Don’t forget to support your local bike shop today on Black Friday, and especially tomorrow on Small Business Saturday. Just stop in and buy something, anything. And take a moment to read a pair of guest posts we featured last year from bike shop owners explaining what that matters.